Forecasting is an important part of any revenue management strategy, because it allows hotel managers to make vital decisions regarding pricing, promotion and distribution, based on anticipated demand and performance. In this article, we look at some useful forecasting tips, which can help you to improve your revenue management strategy. 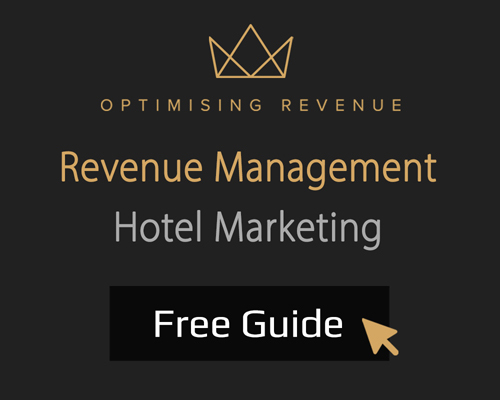 Within the hotel industry, revenue management can be defined as selling the right room to the right client, at the right moment, for the right price, through the right distribution channel, with the best cost efficiency. As a business practice, it is primarily concerned with optimising financial results. Having originated in the airlines industry, it is now commonplace within many industries that contend with high fixed costs and a perishable inventory. Forecasting is a tool which can help managers to anticipate future business performance, better equipping them to deal with future uncertainty in the process. Through the use of past performance data, industry trends and other information available to them, hotel managers can make educated projections on key metrics like room occupancy, average daily rate and total revenue. Ultimately, the aim of forecasting is to give businesses a better understanding of how they will perform in the future, so that necessary adjustments can be made. The ability to create forecasts can be incredibly useful for hotel managers, because it allows them to predict future performance. This, in turn, means they can make more measured financial decisions, better prepare themselves for any financial problems and make adjustments in order to maximise revenue and minimise damage. For instance, forecasting can allow hotels to adjust prices based on demand, focus sales towards different demographics, or make changes to their marketing strategy, in order to attract more customers of a certain type. Forecasting relies upon accurate data, so the first step of any forecasting strategy must be to dedicate yourself to keeping accurate records. While the amount of data available to hotels can make this seem daunting, the most crucial information to keep track of includes things like occupancy, room rates, revenue, etc. However, you should also think about total room rent (sold rooms X average room rate) and average spend per room. If you have access to this information from previous years, include it in your new forecasting spreadsheet. If not, start keeping it now. The best tool you have available to you when forecasting demand for rooms is historical data, because the past can be a good indicator of the future. Although it is not a 100 percent guarantee, if you notice certain trends, like an upturn every June, or an increase in business bookings every December, it usually makes sense to forecast similar spikes in demand. Similarly, you may notice trends associated with bad weather, economic recessions, etc. With that said, the one set of data you have that can truly be relied upon when creating a forecast is data that is already in the books, such as room reservations and business functions. Other data you could take into account are website traffic and planned promotions. It makes no sense to ignore this information when making your forecast and if the reservations in the books outweigh the demand expected based on past data, you need to make adjustments. Next, you should think about important events and holidays and factor them into your forecast. For instance, Christmas is a natural time for an increase in business, as are the summer months. Similarly, local events can have a significant impact. You should try to anticipate spikes in demand around these times, while also anticipating a drop in demand for rooms after those events or holidays have ended. In addition, there are other external factors to pay attention to, such as competitors. Try to keep tabs on the competition in the local area. Has a local hotel had renovations done recently? Has a new hotel or holiday home opened in the area? These are all factors which can hurt future demand. At the same time, competitors closing or relocating could mean a potential increase in business for your hotel, so look for this too. It is also important to pay attention to more general market trends. These may be trends that are prevalent throughout the hospitality industry, such as a general increase or decline in visitors to hotels in your part of the world, or an increase in competitors. At the same time, there may also be trends affecting the wider market, such as economic downturns or upturns, which can also impact upon your forecast. Forecast per origin – A forecast based on the different countries guests visit from. Forecast per distribution channel – A forecast outlining each major distribution channel. Forecast per business type – A forecast which divides visitors into types: business, leisure, groups, etc. Forecast per room – A forecast looking at demand for specific rooms, suites, or guest houses. By doing this, you will be able to get a better understanding of exactly where your business is coming from, the business impact of each segment type and the types of business you need to target more. With some forecasts in place, you can start to look more closely at what your projections mean for your business and work with your marketing and sales departments to make any necessary adjustments to strategy. For example, if your forecast shows a lack of interest from a specific market segment, you could aim more of your marketing efforts towards them. Similarly, you could target sales towards the type of people who are most likely to visit. Finally, with your data collection methods set, your existing data in place and your various forecasts created, you should refer to them regularly and use them to inform important business decisions. Although a forecast can never be 100 percent accurate, it can help you to build a picture of the future, which is important for hotel revenue management, day-to-day budgeting, marketing, sales and many more functions. Forecasting is an important part of any revenue management strategy, because it equips managers with the ability to cope with the uncertainty of the future. By following the tips above, you should be able to improve both your forecasting and your revenue management.